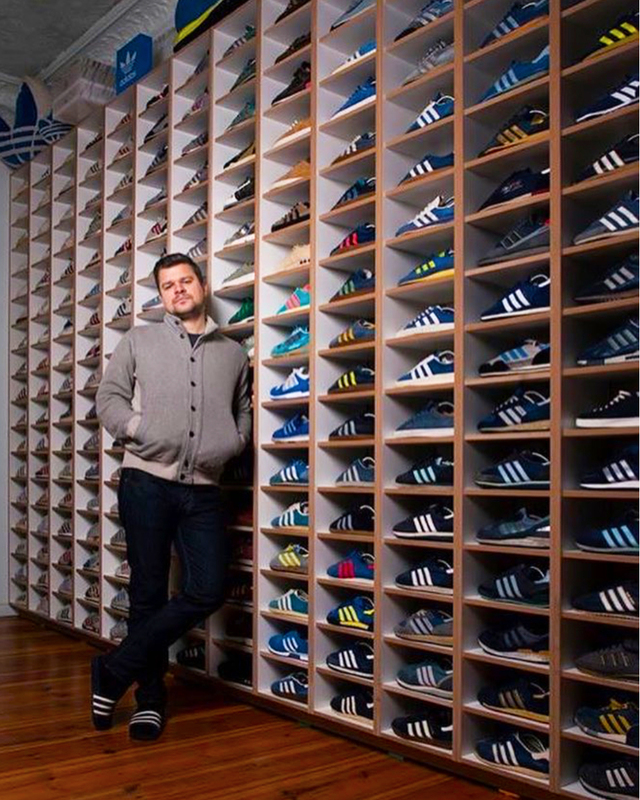 Daniel Kokscht, aka Quote, has amassed a collection of Vintage Adidas like no other. 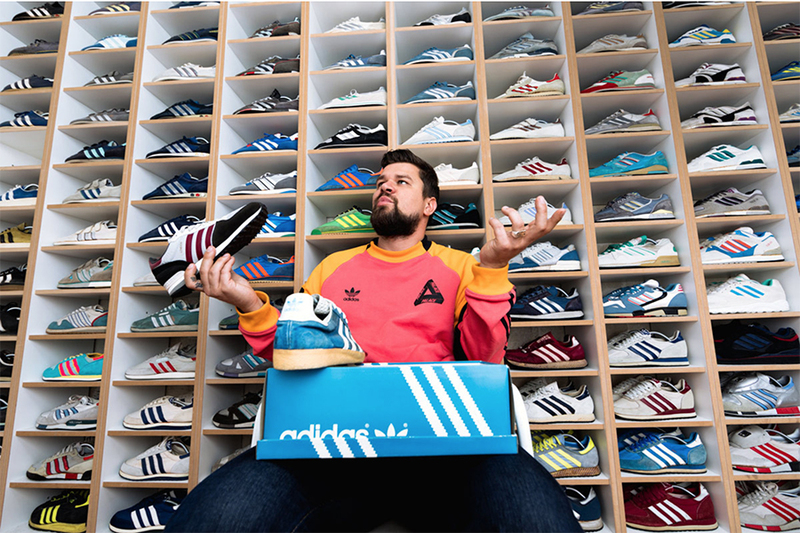 Born and raised in Berlin, he favors vintage adidas running shoes and has custom built shelves to hold his shrine of vintage ’70s and ’80s Adidas sneakers. And he’s still on the hunt to add to his collection. Quote started collected Adidas sneakers from the 70’s and 80’s because they were the most wearable and the most affordable. His first vintage pair was the Orion. And he never stopped from there. Quote considers each Adidas silhouette to be individual and unique … everything a good shoe needs to be. As a proud member of the Adidas family of collectors, Quote’s collection is priceless but not a collection that sits in boxes just for the show factor. He wears his Adidas shoes with pride. As with all collectors, there are some sneakers that are his favorites: the Spezial range which are 1:1 re-issues of old shoes, 80’s hybrids, Mastermind Japan and Sneakersnstuff Datamosh pack from this year. Also, the partnership with Parley for the Oceans and the re-issue of the LA Trainer. Quote’s devotion to the Adidas brand has lead to several opportunities to partner in the design process. His collection is known worldwide for having staged exhibits of rare, in-the-box shoes for Adidas and sneakerhead fans alike. His love for the brand also includes vintage memorabilia. The ultimate connoisseur will tell you that knowledge, loyalty to the brand, the history and the design of the shoes defines the reason behind collecting. It’s an exclusive club. Quote is leading the way.